If you have some Disney super fans in your house, then this is a MUST SEE! A truly magical event full of adventure, humour and a little romance too! It’s been 30 years since Feld entertainment first toured Australia with an ice show, and to celebrate they’re inviting you to experience the absolute best of winter wonderland entertainment at Disney On Ice presents Frozen! 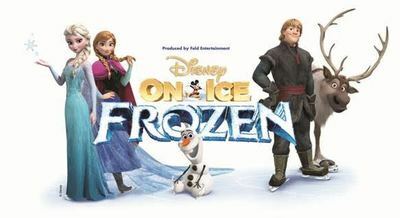 Expect to be enraptured with the much loved Anna, Elsa and the unforgettable, adorable snowman Olaf. You’ll be introduced to brand new characters, including Grand Pabbie, the Trolls and the Marshmallow. Mickey and Minnie take the reins at this live spectacular which will feature the full story of Frozen, that we all know and love from the Academy award winning movie. Thrilled audiences will be invited to accompany Anna on her epic journey to save her sister Elsa, as Disney on Ice presents Frozen magically transforms the stage into the glacial world of Arendelle. The mesmerising show features top class ice skating and sensational special effects. Australian audiences are invited to enjoy this awe inspiring and enchanting world, when Disney on Ice presents Frozen comes to a city near you! 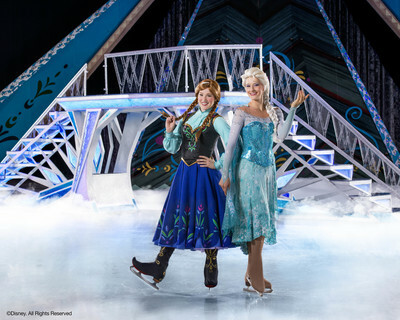 Produced by Feld Entertainment, Disney On Ice presents Frozen opens in Perth on 2 June and travels to Adelaide, Wollongong, Newcastle, Brisbane, Melbourne and Sydney until 17 July. Tickets are on sale NOW so there’s no excuse to miss out!